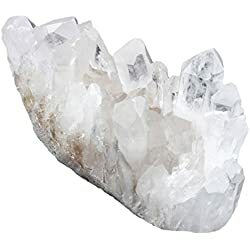 In recent months I have noticed a great deal of interest and questions relating to energy holistic healing, particularly the modalities of Crystal Vibrational Energy, Reiki, Color Therapy and if these can be used with the manifestation Laws Of Attraction. 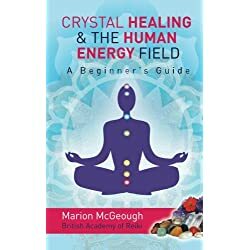 With these questions in mind I hope that this article Crystals and the Law of Attraction will provide some of the answers and a guide to how you can harness Universal energy to manifest greater health, well-being and inner peace. Regardless of our beliefs, understanding or knowledge of the universal laws of attraction we are constantly, and perhaps unintentionally manifesting. Our thoughts, beliefs of self and mental/physical actions create a constant flow of energy, energy that is shaping our life. The energy that we emit to universe is returned. As the old and very true saying goes…”Like attracts like” meaning energy out attracts like energy back to us. If the energy that we emit equates to the sense of being down, self limiting, negative in action or thought, the energy being sent into the universe matches that. The problem … the energy we send into the universe is the energy which is returned to us. Therefore it will become less and less likely that positive energy will be returned if we only send out messages that equate to negativity! However … we can benefit from this … because the opposite is also true! If we are constantly in a positive energetic state, our thoughts are positive “can do” in nature and we emit and share happy, confident and positive expectations in energy with those around us, then that energy is what will be returned to us. Move towards holistic healing positive energies! Here’s how! Moving to a positive energy mindset is the state we must enter into if we really wish to achieve optimal health and well being. It is also within this positive mindset state where we will begin to truly attract and manifest miracles into! Your thoughts are your energy and your energy creates your reality. Therefore you alone are responsible for your destiny. However it is not always as easy as it sounds to implement it into our human lives! Sit in the still, relax, meditate or listen to soft music. Take 5-10 minutes to become totally relaxed and with a clear and open mind. Ensure you are totally clear, and of positive thought, about what it is you wish to manifest. Ensure you are 100% clear on exactly what you are wanting, what the outcome will look like, what the final picture looks like and have NO doubt about your ability to manifest. Know exactly what you want! Know exactly what you do not want! Clarity is needed as you send the Universe your message. Clarity is needed. The Universe will return what you send….clear or not! Make your request by sending your clear imagery and desire out into the Universe. As you send ensure you see this desire as already being in existence, already happened. The Universe will receive this and return it. Make sure you spend time sending this into the universe with as much detail as possible. See it, believe it send it receive it! Write it down as a positive letter of achievement! Your writing will tell the Universe precisely what you want. Your writing should be in present tense and as if it is already in existence. Each day, or as often as practical, go to peace, read the writing out loud or internally and then visualize how happy, positive and excited you are that this has come to be. Feel how you will feel once this is achieved. Once it is part of your life. You must move your mindset and belief system to think, act and speak as if it is being delivered and has been received. This is hugely important, possibly the most powerful moment when using the Law of Attraction for holistic healing as this is when it will manifest in to being! Again write. Write down all the positive things that the Universe has given. As you write express and feel the thankfulness for this manifestation and show gratitude. The act of thanks and showing positive gratitude is a powerful energy and will enable the Universe to continue sending these energies which draw more healing, love and well-being into your being. The universe wants for you to be happy, healthy and is always in support of the energy you send and seek. When you live in the now, in the energy of achievement you no longer exude energies of fear, failure and ill-health —and that is what continues your manifestation. 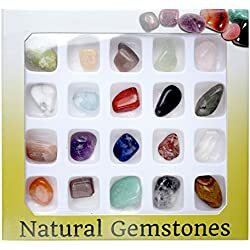 How Do Crystals Aid Manifestation? When manifesting we want to ensure that all of our body’s energy systems are at optimum vitality and are enabled to send our positive manifesting energies to the universe. Therefore we require our chakras to be open, aligned and in balance. As with the 7 laws of attraction, we have 7 major energy centers (or Chakras) within our body. 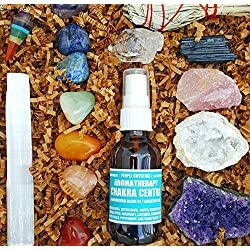 How Do Chakras impact On Holistic Health And The Law Of Attraction? Each Chakra resonates at a different vibration and each must be aligned and in balance before we achieve optimal energy flow through our body. Likewise an unaligned Sahasrara Chakra means the pure universal energy cannot access our spiritual center. Therefore the spiritual energies needed to replenish Muladhara, and to feed our physical, never reach their destination. To ensure energetic holistic healing and manifestation we first must look to balance and align our chakras. This is where Crystal Vibrational Healing is perfect for Holistic Health and using the Laws of Attraction. 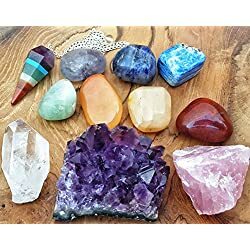 Which Crystals Should Be Used? 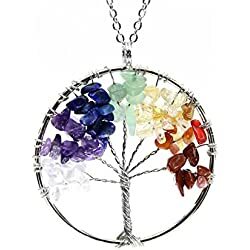 Each chakra has a different vibration and frequency which relates to different universal energy and holistic healing concepts. 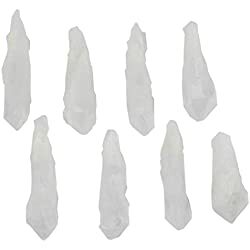 and then specific Crystals which target the energy of the manifestation you wish to draw. 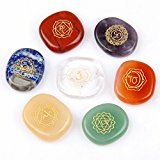 Get your starter holistic healing crystals for manifestation set! 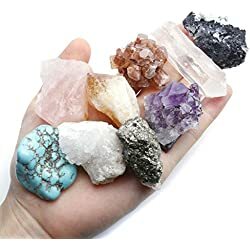 You can then build and add other healing crystals as and if needed. How To Load Crystals With Intent. 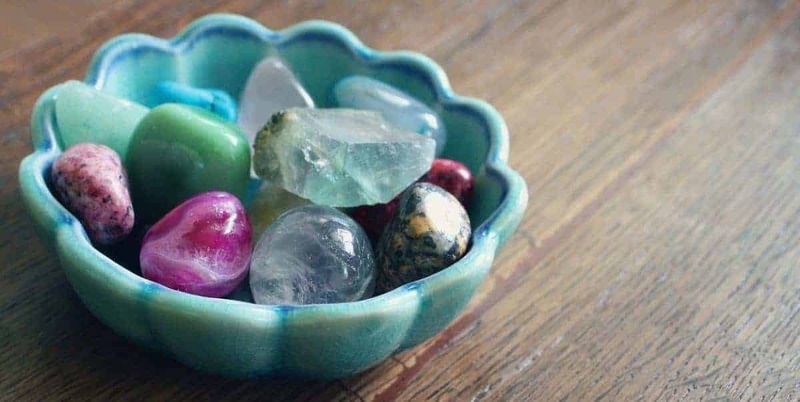 Once you have your crystals your first job is to cleanse them, then to sit and go to peace/meditate/relax with the express intention of manifestation and harnessing the Law of Attraction within your chosen crystals held within your energy. Hold them. Place them within your Auric Field. Focus on them as you use the 7 steps in our checklist above. 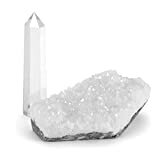 The crystals will aid you in increasing positive energy and aligned/balanced vibrations. Daily meditation is in fact a major key to manifestation. 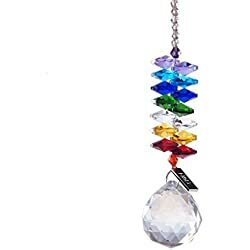 Your set of Chakra Crystals or your Clear Quartz will assist the energies to flow as required throughout the Chakral system and aid the Universal energies. 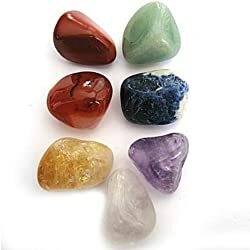 If you have chosen other specific crystals for a specific purpose ensure you also have these in your hand or auric field and ensure during you meditation you focus on this crystal and the energy that it is drawing to you, what it is manifesting and what the result will be. 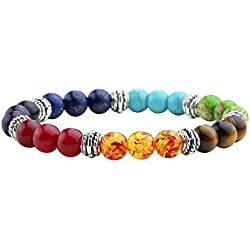 Stones of the third eye chakra (Ajna) are excellent for stimulating visionary abilities and unlock imagination. 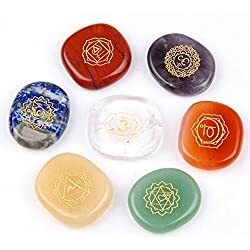 These may be particularly helpful should you have difficulty when trying to visualize the manifestation having occurred or if you find it difficult to visualize when meditating. 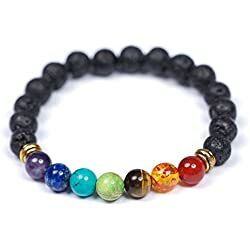 are excellent for enhancing visionary abilities and enhancing imagination and creativity. 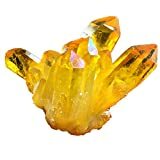 Citrine is one of the most powerful manifestation gemstones. The color of citrine fills your world with light, joy and abundance. Yellow Jade is also known as the crystal of pure happiness. Yellow Jade also enhances motivation and willpower which is wonderful when applying the laws of attraction for holistic healing. This gemstone also has the energies to encourage authenticity, bravery and honesty. Yellow Jasper is a stone of connections and being grounded. 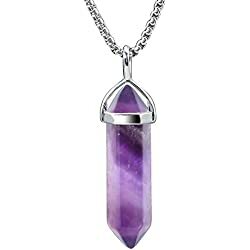 Perfect for manifestation so the life force energy can move throughout your mind, body and spirit. 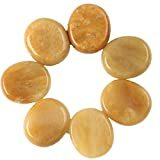 Yellow Jasper emits strong vibrations of positive energy, increasing well-being and self confidence. It helps to reduce feelings of stress and anxiety, replacing them with happiness and joy. This is a very special stone! 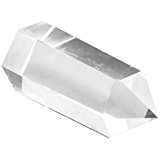 Clear Quartz Crystal is the gemstone of clarity and dreams. It helps to stay focused and connected to a higher power. 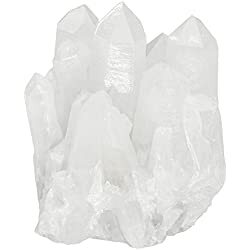 Quartz Crystal removes any energy blockages within your body, ensuring that energy can flow smoothly. Carnelian is often called “the artist’s stone” for its ability to amplify creativity. The carnelian can awaken your hidden talents. It increases courage, and stimulates your ambition while also eliminating fear and doubt. Carnelian is a great manifesting stone especially for those highly imaginative and creative people. 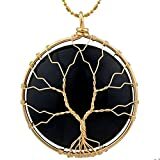 Obsidian aids us in our mission to let go of negative habits and those beliefs that no longer serve us, This provides us with the clarity to recognize opportunities for change. It also helps sharpen our focus by making clear the energetic blockages we hold internally and supports us to make change. 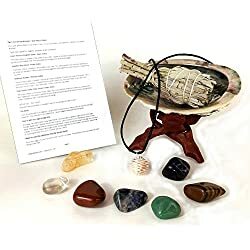 I hope this article has given you the encouragement to use the laws of attraction and crystals for your holistic healing. If you do apply these techniques please do let me know how you got on! I would love to hear your thoughts and views. 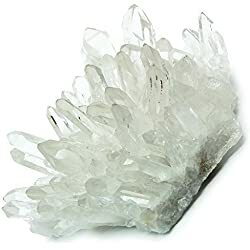 Clear Quartz Clusters "A/B" (Arkansas) (1-1/2" - 2") - 1pc. 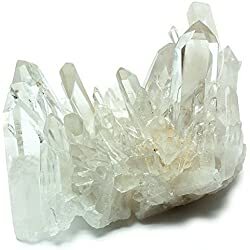 Clear Quartz Clusters "Extra" (Arkansas) (3/4" - 1-1/2") - 1pc.